When I meet architects and others working in the BIM world, they usually mention that they have a copy of my book. Which isn’t far from the truth. Of course I thank them – for purchasing the book, for reading it, for mentioning this to me – none of which they’re obligated to do. How many copies has it sold? As I embark on the lengthy and arduous process of writing and publishing another book in the architecture and construction space, I was reminded by my publisher that my last book sold only 1000 copies. “1069 copies,” I unhelpfully corrected them. 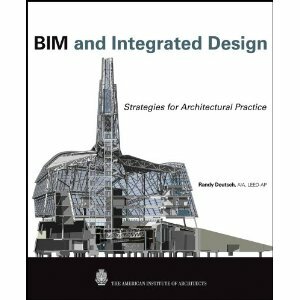 In 2009 I wrote, and in 2011 John Wiley and Sons published, BIM and Integrated Design: Strategies for Architectural Practice. 1069 copies! Including all of you who read my BIM book and told me they liked it. Twelve out of 12 readers gave it the coveted 5-star rating on Amazon. Disney Imagineering told me that they reference the book. Firm leaders told me that they have a copy that they circulate in their office. A few professors made it required reading in their classes. The University of Salford named* their BIM curriculum after it. I created the world’s only BIM book video trailer set to classical guitar music. AIA National emblazoned the book across their website. I placed book ads online including at Bob Borson’s blog Life of an Architect. I went around the country touting the benefits gained by reading my book. In fact, in 2011 at KA Connect, during a Pecha Kucha presentation, I went totally blank. And whether out of sympathy or who knows what, the book never sold better. That time (gratefully, the only time) I froze-up on stage was one of the best things to ever happen to me career-wise. I handed out coupons and gave books away as door prizes. I wrote dozens of blog posts bestowing its virtues. I sent out hundreds of emails to colleagues requesting they share a link. And sent copies of books to friends, magazine editors and bloggers in the hopes they’d write a review. Despite these efforts to move books, all-in-all equal to – or even greater than – what it took to write the book, the book sold poorly. Pandering to architects has never been a particularly effective business model. I recognize that it was not all my fault. The BIM book arrived in the midst of the world’s greatest economic downturn. The fact that the book came out in 2011 was not lost on the author or publisher. Nor the fact that the book’s undiscounted asking price is $75, that the book comes in hardcover (no inexpensive paperback version,) the images are b/w, nor that it looks like a textbook. Why would anyone (apparently my students included) willingly purchase and read a textbook? The book was faulted by one reader for appealing in its title (“strategies for architectural practice”) primarily to architects, whereas the “integrated design” in the title includes – and ought to appeal to – Engineers, Constructors, Owners and others. As the author of the book, I take full responsibility for the fact that it did not sell. I am mature enough to recognize that just because I like to read – and try to do so for a couple hours each day – it doesn’t mean that others like to read. And even if they do, they may not like to read books per se. I know my students don’t do their required reading, the word softly translated by my students as voluntary. As though to say, how dare I assign textbooks?! If only they knew how well-written they are! I know everyone has a copy of BIG BIM, little bim and The BIM Handbook, but do you realize how excellent the writing is in Dana (Deke) Smith and Michael Tardif’s Building Information Modeling: A Strategic Implementation Guide for Architects, Engineers, Constructors, and Real Estate Asset Managers? Or how exacting and spectacular the writing is in François Lévy’s BIM in Small-Scale Sustainable Design? François Lévy’s book is brilliant. I didn’t let the fact that it concentrates on smaller projects or that he uses Vectorworks, to dissuade me from reading it for pure enjoyment. Having written a BIM book, and BIM blog for 4 years, I have a real appreciation for how hard it is to cut through the clutter and hype and say something that is mercurial and potent and insightful. Lévy manages to do this on every page – sometimes several times a page – and it is a shame more people haven’t read his book and sang its praises. I learn best by books but recognize that professionals have different ways they prefer to learn: some by video, some lecture, some tutorial, or site visit, or hands-on, or via gamification. When I interviewed very important people (VIPs) for my BIM book (Phil Bernstein and Chuck Hardy, among many others) I was blown away by the insightful things they said. And also by the way they said them. New things, things that you couldn’t find anywhere else. I became who I am because of the books I read – and continue to read. For me, reading is like living two lives. The advantage it provides you is empowering. Nothing, and I mean nothing, can provide one with what can be found in a good book. Not first-hand experience (because in books, you gain other’s experience vicariously on top of your own;) new ways of looking at things (on top of how you already look at things;) new ways to do things (ditto;) and perhaps best of all, insights that take your knowledge up a notch – that could otherwise only be acquired through long and hard work on your own. All that, and they fit snuggly on a shelf or nightstand, iPad or Kindle. This is why – despite the disappointing sales of my first book – I am devoting the next year of my life to writing another book. I believe in the power of books and the power of the written word. Especially as an antidote for those days I spend behind a computer monitor, messing with digital this, and computational that. Books seem to place what I’m doing into a larger context, and in doing so, the best ones help provide a purpose for the time when I’m not reading. * OK, not really but a pretty amazing coincidence nonetheless.